This building was constructed in l9l2–l3. Designed by Victor Horwood, then Provincial Architect, the School was devoted to teacher training in Manitoba. 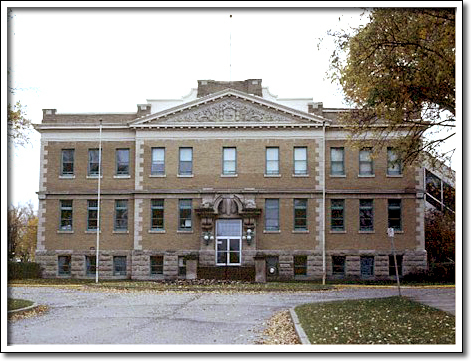 The classically-styled building was one of four Normal Schools built in Manitoba: St. Boniface (l903); Manitou (l904, demolished); and Winnipeg (l905–06). Benjamin J. Hales was the first principal of the School. He retired in l938, with an established reputation as an educator, author and naturalist. He founded the B.J. Hales Museum of Natural History which became permanently established at Brandon University in l965.